Disney Donna Kay: Christmas Tips - Make It Special For Mom Too!! 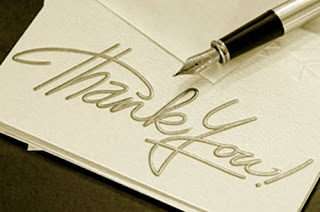 Christmas Tips - Make It Special For Mom Too!! In almost every household there tends to be one person who handles the brunt of taking care of the family. Whether it's taking care of a sick child or getting the kids to dance class or soccer practice. Most of the time there is one who handles the Christmas duties too, and in a lot of homes this is Mom. She does it because she loves everyone, and wants everything perfect, but this time of year it can be a LOT!! There are gifts for teachers, friends, family and then there is the wrapping to be done. The house has to be decorated from stockings to mantels to the tree. There is food to make for school parties, family parties, church socials, neighborhood parties. Then there is Christmas morning with breakfast to make, gift wrap to clean up, Christmas dinner to make, dishes to wash. Stressed out yet?? The saddest thing of all is that on Christmas morning when all the presents are opened she probably has the least of all since she did most (if not all) of the shopping. I promise you she would love to see a special gift brought by you and the kids, and it doesn't have to be expensive. Here are some gift ideas for the stressed out Mom this year. Don't forget to let her know you will watch the kids so she can get her pedicure and not feel like she has to be rushed. She will be able to relax and truly enjoy being taken care of and pampered while at the salon. I love the show Chuck and sadly this will be it's last season. I know there are times when I try to watch TV and life gets in the way, from homework to dishes. Why not promise Mom time to watch a few episodes uninterrupted, you could even let her get caught up on what she's DVR'd and that would be FREE!! Every Mom I know loves chocolate!! 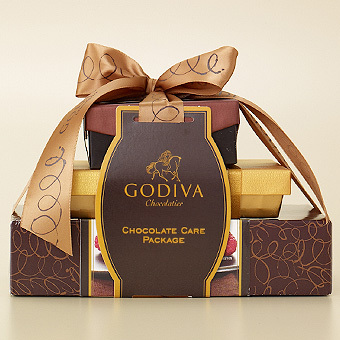 Why not let her indulge in this fabulous Chocolate Care Package from Godiva for $45.00? Chocolate has stress relieving properties, doesn't it? This is something Mom would probably never ask for, but would LOVE!! 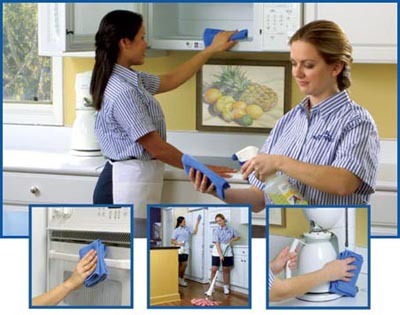 Have a cleaning service come in after the holidays to get the house back in order. Be sure to check out the service to be sure they are reputable and ask for references. Women love it when their guy plans a special night out alone. Go out to her favorite restaurant, or maybe to the restaurant where you had your first date. Be sure to make all of the babysitting arrangements ahead of time, as well as dinner reservations. Tell her how to dress (formal, casual, ect.) and what time to be ready, she will love the mystery of not knowing where you are going. Yes, Mom knows you appreciate everything she does, but it doesn't hurt to remind her. Leave her a "Thanks for all you do!" note. It will mean more than you can ever know. For all my friends out there, take a minute for yourself and relax, if you buy cookies from the bakery instead of baking them yourself who's going to know? Be sure to buy something nice for yourself while you are shopping for everyone else, trust me you deserve it!! I loved your post and you are exactly right, I personally would love the pedicure and the Godiva. I know Diane, I was surprised that the Godiva was only $45, can you imagine Godiva brownies!!! Merry Christmas!! !